REMCO 1970 Doll - Polly Puff or ? I found this lovely little doll a couple of weeks ago at a vintage show and sale. I thought she was so cute. I have been looking high and low to find out who she is, and I can't find anything about her. REMCO had a similar doll called Lil' Polly Puff, she looks just the same, but has blonde hair and her body is made of a different fabric. I can't find anything about her being made with Brown hair or having a friend. She sold for $30, but the buyer didn't know who she was either. 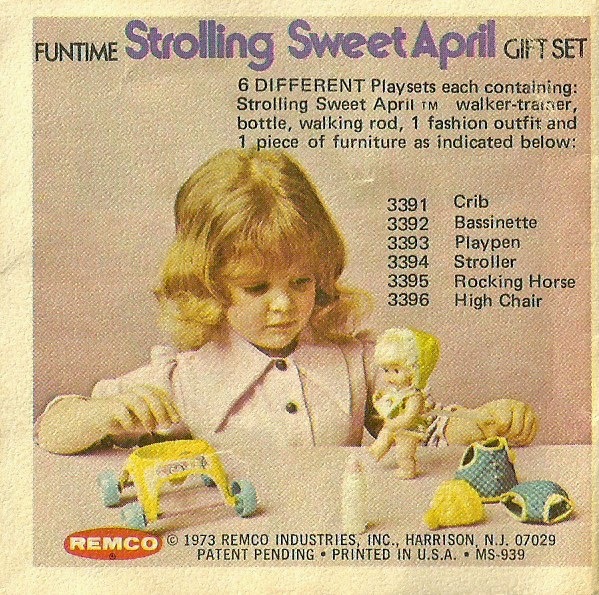 She collects Remco and was happy to get her, but she is still unknown. Any ideas? I'm having a big sale in my Toy-Addict ebay store. Everything is on sale and I am still willing to take offers! Let's clear it out people!! 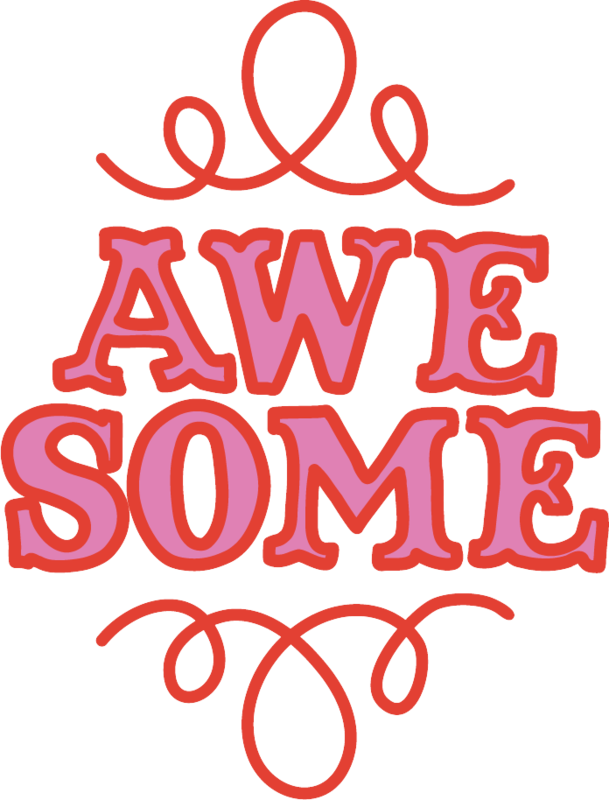 I've got a lot of fun stuff listed there that I'm sure you need! Sorry, the sale has ended but I still have lots of fun stuff at my store with great prices. 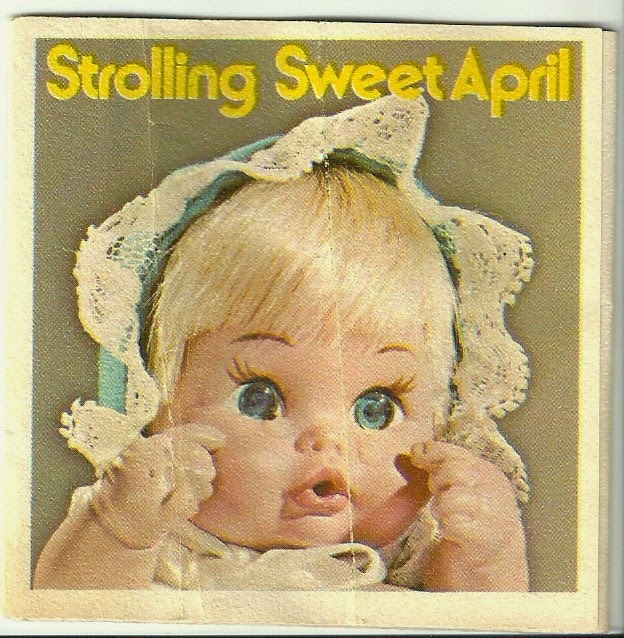 Sweet April was a little before my time, but I had lots of used toys and dolls. I had her and some of her accessories, but never knew her name. You can Click on the images to make them larger.